ANDI YOU AA accessibility meeting the legal standard No intervention in the website’s code from the ANDI YOU component. Menu adaptable to the colors of your brand. Support for mobile devices. A non-recurring charge including free support for the first year. Minimal use of screen space. 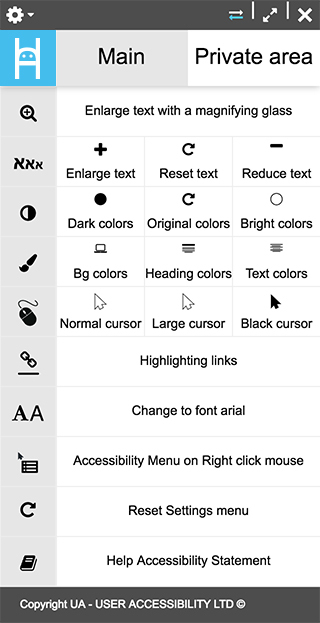 The ANDI ON add-on fits together with the web user’s browser to provide basic accessibility to each website visited. The add-on is free of charge and it creates a uniform level of accessibility for the various websites. 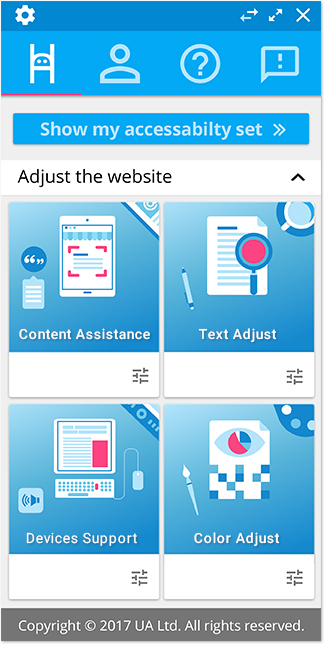 But the law requires you, as the site owner, to reach the AA level; so we offer to complete the mandatory accessibility at an affordable price and save you the effort behind all the functionality that the add-on provides. 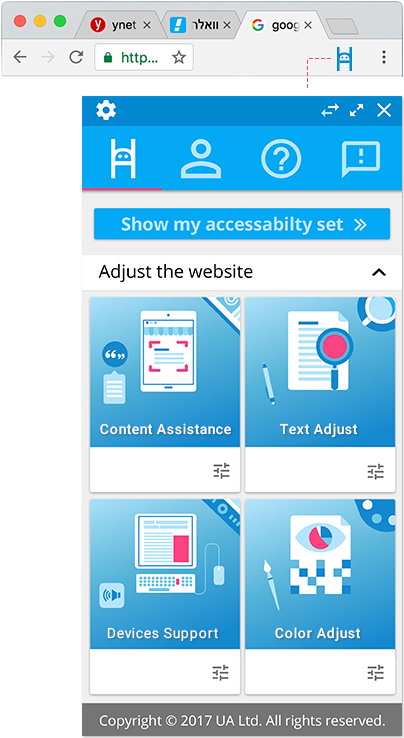 If you prefer not to complete your accessibility but to help your users with no more than the add-on, we can integrate an accessibility link into your website for only ₪ 350. But we must emphasize that by means of that option, you would not be fulfilling your legal obligation. you receive the basic package from us without charge. The law makes it obligatory, but the business advantage is what makes accessibility a must! I am deaf or hard of hearing, and I prefer to be contacted in writing.